Christian John Storey Bonington was born in Hampstead, London, in 1934 and was educated at University College School in London. He later went to Sandhurst, the military training academy, and joined the Tank Regiment in 1956. He had enjoyed rock climbing as a boy, but it was in 1958 that he began mountain climbing in the Alps, and by 1960 he had become a mountaineering instructor with the Army Outward Bound School. In 1960, he was asked to join an expedition to climb the 26,000' Annapurna II, with Indian and Nepalese climbers. This was the first of his 26 Himalayan expeditions. 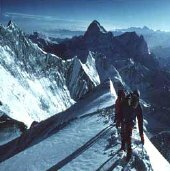 Other major climbs followed until he got his 'big break' in 1966 when he was assigned by the Daily Telegraph Magazine to cover various expeditions for them. These included climbing the world's highest active volcano, Sangay in Ecuador, and caribou hunting with the eskimos in Baffin Land. 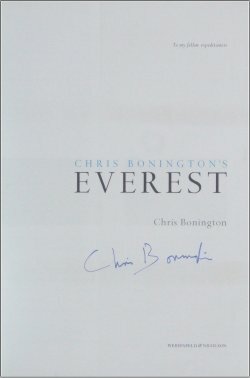 Chris Bonington signed my copy of Everest. In this book he writes about his various attempts on Everest. 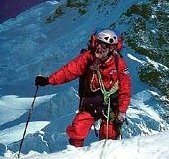 No other mountaineer, writer or photographer has as much experience of Everest as he has! 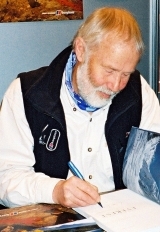 Chris Bonington's successes have brought him numerous awards. He was awarded the CBE in 1986 and has honorary degrees with six different universities. In 1996, he received the highest honour of all, a knighthood from the Queen. 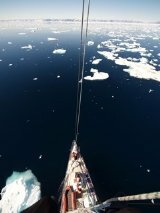 He tackled Everest again in 1982 and 1985; led an expedition to Greenland's Lemon Mountains in the 'Suhaili' (a boat skippered by Sir Robin Knox-Johnston) in 1988; a further expedition to Greenland in 1993 and yet another in 2000 to tackle three peaks that had never been climbed before. 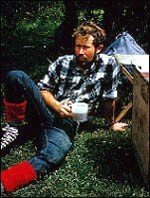 In 1978, after several tragic expeditions to the Himalayas in which several fellow climbers lost their lives, Bonington took a break to research and write his 'best-seller' Quest For Adventure (1981) which has subsequently been updated and republished. In the autumn of 1975 Bonington led the British Everest Expedition to success when Dougal Haston and Doug Scott reached the summit of the World's highest mountain. 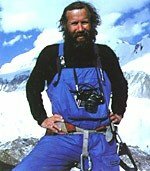 In 1968, Bonington planned an expedition to climb the south face of Annapurna, a Himalayan mountain that he had successfully climbed six years before. 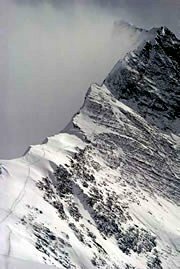 The 24,000' mountain included a 12,000' ice-covered sheer rock face when approached from the south. 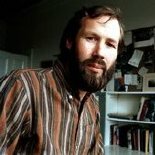 The climb took place in 1970 and, along with fellow climbers Dougal Haston and Don Whillans, he reached the summit on 27th May. Bonington left the army in 1961 and soon decided to devote all his time to mountaineering, writing books on the subject and photographing it. 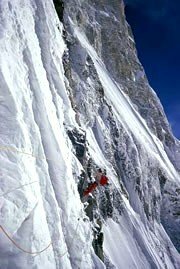 The following year he became the first Briton to climb the North Wall of the Eiger. In 1963 he achieved another 'first' when he became the first person to climb the central Tower of Paine in the Patagonia region of Chile. 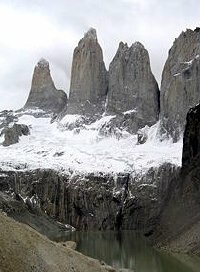 The Torres del Paine are three giant granite monoliths shaped by glaciers. Throughout the 1980s and 90s, Bonington continued to tackle many of the world's most difficult and dangerous climbs. He lists his recreations as mountaineering, skiing and orienteering, and is now much in demand by major companies as a speaker on leadership and teambuilding. Chris Bonington has fifteen books to his name, including four about Mount Everest. He is married to Wendy, who illustrates children's books and they have 2 sons. The Boningtons live in a picturesque cottage in the Lake District. 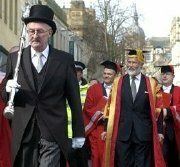 In 2005 he was installed as Chancellor of Lancaster University. 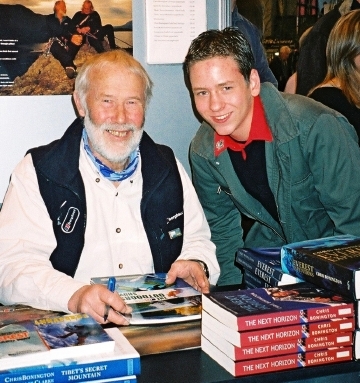 I met Chris Bonington the world famous mountaineer at the Outdoor Show held at the NEC in March 2006. He gave an interesting talk about how he became a mountaineer and told us stories of his various expeditions. Afterwards he signed my copy of his book 'Everest', and I was able to have my photo taken with him.